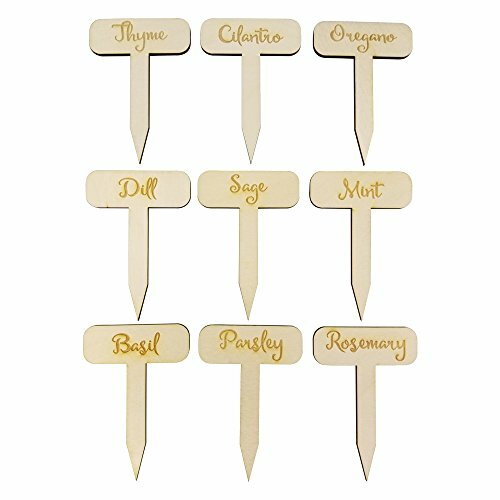 Set of 9 markers measure 2.75" X 4" each and are permanently etched with easy-to-read herb names. Brighten up your herb pots with these simple and classic etched plant marker stakes. Make your garden plant cute with this lovely plant tag. A cute decoration for your plant. Great for your indoor herb garden, smaller potted herbs, and window sill gardens as well! If you have any questions about this product by Wedding Collectibles, contact us by completing and submitting the form below. If you are looking for a specif part number, please include it with your message.